Brown caught his sole target for 13 yards during Saturday's playoff loss to the Rams. He finished the regular season with five catches on eight targets for 54 yards across eight games. Analysis: Brown missed the first eight games of the regular season due to a hamstring injury sustained in training camp. After returning from injured reserve on Nov. 9, he regularly served as a depth wideout. Despite seeing double-digit offensive snaps in all but two of his games played, Brown never managed to log more than one catch in a single game. The second-year pro will attempt to make use of his 6-foot-2, 225-pound frame to hold on to his depth role this offseason. Brown (illness) does not carry an injury designation for Saturday's divisional-round playoff game against the Rams, David Helman of the Cowboys' official site reports. Analysis: Brown was a full participant in Thursday's practice and appears to have fully recovered from his undisclosed illness. 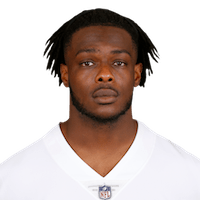 The second-year pro will suit up unhindered versus the Rams, and could be in line for increased offensive snaps with Allen Hurns (ankle) having moved to injured reserve earlier in the week. Brown (illness) was a limited participant in Wednesday's practice. Analysis: Brown was held out of Tuesday's practice entirely, so his limited participation is a step in the right direction. With either a limited or full practice Thursday, Brown would put himself on track to play in Saturday's divisional-round matchup with the Rams. If that's the case, he would likely be in line for an increased offensive role as the Cowboys look to replace Allen Hurns (ankle). Brown didn't practice Tuesday due to an illness, Todd Archer of ESPN reports. Analysis: Brown's illness isn't thought to be severe and, barring the ailment persisting, he'll likely play Saturday against the Rams. Brown saw a season-high 27 snaps in Saturday's wild-card win over the Seahawks after Allen Hurns (ankle) went down. He had just one reception, but the increased workload with Hurns out could mean Brown will be assigned another significant snap total Saturday. Brown caught one of two targets for 22 yards in Thursday's win over Washington. Analysis: After spending the first eight games of the season on IR, Brown returned to the lineup in Week 10 but didn't see his first targets until Thanksgiving. The second-year wideout won't be a big part of the Cowboys' passing attack going forward, but his size could make him an occasional red-zone option, particularly given the team's lack of dependable tight ends. The Cowboys activated Brown (hamstring) from injured reserve Friday, David Helman of the Cowboys' official site reports. Analysis: After he was plagued by a hamstring injury during training camp and the preseason, Brown spent the first half of the campaign on injured reserve and instead focused on reviving his health. With a week of practice reps under his belt, he's been cleared to play again. It's difficult to forecast much production, though, with him being a member of the Cowboys' 29th-ranked passing attack (188.4 yards per game). The Cowboys designated Brown (hamstring) to return to practice Thursday, Rob Phillips of the Cowboys' official site reports. Coach Jason Garrett said Brown (undisclosed) is able to return to practice, but the team is yet to decide when he will, David Helman of the Cowboys' official site reports. Analysis: His availability for practice signifies Brown has shaken his mystery condition. However, the receiver remains on injured reserve, so he isn't eligible to return until Week 9's game against the Titans. The second-year pro won't be fantasy-relevant when he returns. Brown (undisclosed) was placed on injured reserve Sunday, Jon Machota of The Dallas Morning News reports. Analysis: Brown battled a hamstring injury early in training camp and never made an appearance in preseason action. As a result, he is destined for injured reserve to open a roster spot for the Cowboys' signing of Deonte Thompson. Brown will not play in Saturday's preseason game against the Bengals due to an undisclosed reason, Jon Machota of the Dallas News reports. Analysis: The reason for Brown's absence is unclear, though he dealt with a sore hamstring throughout the opening stages of training camp. The Cowboys will be missing a trio of receivers Saturday, as Cole Beasley (groin) and Tavon Austin (hamstring) are also sidelined. Brown (hamstring) returned to practice Saturday, Jon Machota of the Dallas News reports. Analysis: Brown had been absent from practice this past week due to a sore hamstring, but he returned to the field Saturday with the issue seemingly put in the past. He'll compete alongside the likes of Deonte Thompson and rookie Michael Gallup for positioning on the depth chart at wide receiver in Dallas. Brown sat out Saturday's practice with a sore hamstring, Todd Archer of ESPN reports. Analysis: Brown missed Friday's session as well. With a penetrable depth chart at wide receiver, the 2017 seventh-round pick has a great opportunity to make the Cowboys' roster. Injuries will not help his cause, however, so he will be hoping to get back on the field as soon as possible in order to compete for a 53-man roster spot. 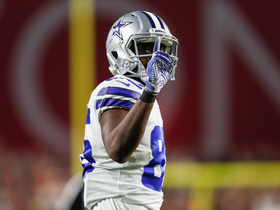 Brown earned some snaps with the Cowboys' first-team offense during OTAs and minicamp, Jon Machota of The Dallas Morning News reports. 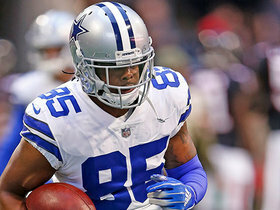 Brown could be in line for a larger role in the Cowboys' passing game this season following the release of Dez Bryant. Brown suited up for 13 games in 2017, catching four of nine targets for 33 yards. Brown is slated to see an increased role in Week 14 as the Cowboys' No. 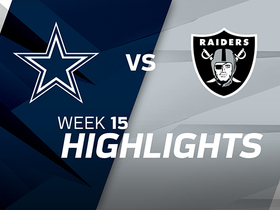 4 receiver against the Giants with Brice Butler (foot) sidelined, Entercom's Troy Hughes reports. Analysis: Cowboys owner Jerry Jones said Brown has caught the coach's eye and could be in line for his first multi-target showing of the season. He's caught just three passes on as many targets in nine games in his 2017 campaign, but Butler's injury provides an opportunity for additional production. Brown (thigh) was a full participant at the Cowboys' practice Wednesday. Analysis: Brown was limited in practice last week prior to sitting out Sunday's win over the Chiefs. The 27-year-old is currently the sixth wide receiver on the Cowboys depth chart, so he is no guarantee to suit up even if healthy for Sunday's game against the Falcons. Brown (thigh) is inactive for Sunday's game against the Chiefs, David Helman of the Cowboys' official site reports. Analysis: Brown has been inactive in two other games this season for noninjury related reasons, so the fact that he was limited throughout the week of practice by the thigh injury might not have necessarily played a huge role in him being held out in Week 9. As the sixth receiver on the Cowboys' depth chart, Brown needs a lot of breaks to go his way before popping up on the fantasy radar. Brown (thigh) is listed as questionable for Sunday's game against the Chiefs. Analysis: Brown was limited by a thigh injury in practice this week. He isn't much of an offensive factor, however, so his potential absence in Week 9 wouldn't be much of a loss for the Cowboys. Dallas Cowboys wide receiver Noah Brown catches his first pass of 2018 for 22 yards on a pass from his quarterback Dak Prescott. Dallas Cowboys QB Dak Prescott hits wide receiver Noah Brown while on the move for a 13-yard gain.